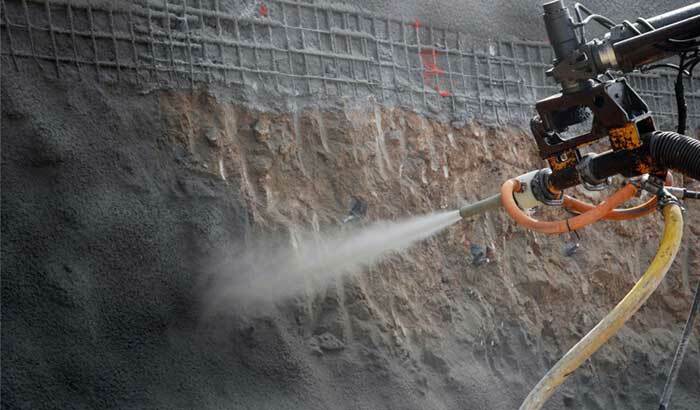 Silica fume is a widely used material in shotcrete, although it can not be considered as an admixture. It is a kind of material with very strong volcanic ash activity, which can not only improve the adhesion of the thick lining, but also obtain high early strength. In many construction, the use of silica fume can reduce the dosage of coagulant. It is mainly divided into two kinds: dry method and wet method. (6) improve the thickness of the single spray layer.